Success in fitness is a result not only of how you train "the machine" (your body), but also how you fuel it (with what you eat). Some people think that if they exercise they can eat whatever they want and still get in great shape. They couldn't be more wrong! In keeping with the above analogy, if you put low-grade fuel full of contaminants in the machine, its performance will suffer and eventually it'll be ruined. Beyond a poor diet, certain behaviours and lifestyle habits can hurt your health and performance as well. NOTE: After writing this post, my eyes are on the verge of BLEEDING, and little things like proofreading, editing, and dressing it up are out of the question. As a result, this article will be long on words, and short on flashy pictures, YouTube videos, and other catnip for the 3-second attention span crowd. You've been warned! Picture an athlete preparing for the Olympics (one of the best of the best) sitting down to eat his or her meal. What is this person eating? A hamburger with fries and a soft drink? A pizza, with a chocolate bar for dessert? I don't think so! More often than not this person would be eating a balanced meal with carefully selected, healthy food choices. To lose fat, gain muscle, and acquire the energy needed for the intense exercise that will further you towards your goal of becoming a better Paintball player, you're going to need to learn and apply proper nutritional principles. 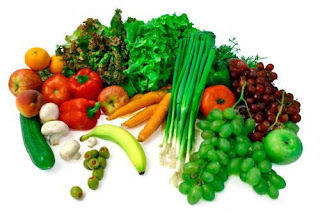 Any food we eat can be classified into one of the two categories of nutrients: The MACRONUTRIENTS (needed in large quantities, macro) and the MICRONUTRIENTS (needed in slight quantities, micro). Carbohydrates: The main purpose of "Carbs" is to provide energy to the body and brain. They're converted to glucose in the digestive system and released into the bloodstream in the form of "blood sugar". There are two forms of carbohydrates: Complex and simple. Complex carbs are digested more slowly, and therefore enter the bloodstream gradually. Some examples of complex carbs are whole wheat bread, brown rice, and sweet vegetables. Simple carbs are already similar in structure to glucose and therefore are converted and released faster. They tend to raise your blood sugar levels quickly, causing a sharp increase in energy often followed by a crash soon after. Some examples of simple carbohydrate foods are refined sugar, soft drinks, and white bread. Fructose, the main sugar in fruit, is also considered a simple carbohydrate, although it doesn't affect blood sugar levels as wildly. Both types of carbohydrates contain 4 calories of energy per gram. Proteins: Protein is broken down into amino acids, which are then used in the body to repair, maintain, and grow bodily tissues. Protein is also used in countless hormonal and chemical reactions in the body. 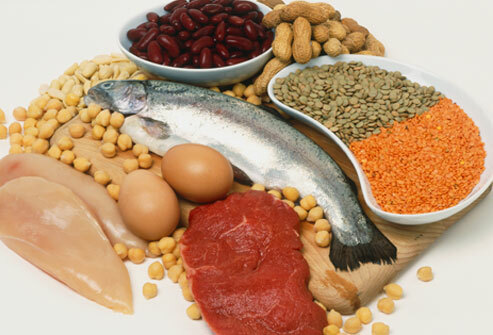 Protein can be found in any kind of animal tissue or product, such as meat, eggs, and dairy products. Protein can also be found in certain vegetables and nuts, although its quality for humans is not as good as that found in animal products. Protein supplement powders, used in moderation, are excellent sources of this macronutrient. At this time the state-of-the-art in protein supplements is whey protein; its amino acid profile is extremely bioavailable (useable by the body). Protein can be used by the body as an energy source as well, also at 4 calories per gram. Fats: Although dietary fat has assumed a bad reputation, it's still essential to many physiological processes. In fact, certain fatty acids are essential for proper health. Fat is the main source of energy during low-intensity activity, and it's involved in transporting several vitamins in the body. Fat is a very dense energy source, at 9 calories per gram. Water: Water is a crucial nutrient that makes up almost 70% of your body mass. It removes waste products from the body, regulates your temperature, and keeps you performing at your best (muscles are 72% water, so any dehydration could affect your performance). Fiber: Although fiber is technically a carbohydrate, it's listed separately because most types cannot be digested. Indigestible fiber passes right through you, in effect "scrubbing your insides clean". Fiber can be found in most fruits and vegetables, and in wheat products such as bread and cereal. Vitamins: Contrary to what most people have been led to believe by sensationalistic claims, vitamins do not increase energy. Neither do they cure diseases; generally the only "disease" that a vitamin can cure is a deficiency of that vitamin. What vitamins do is act as catalysts for thousands of chemical reactions in the body, and thus it's important to make sure you consume the recommended intakes of the necessary vitamins daily. Minerals: Certain minerals such as calcium, magnesium, zinc, copper, etc. also have important functions in the human body. It's important also to make sure you're covered for their recommended intakes. Because of soil depletion and modern food processing techniques, moderate deficiencies in certain vitamins and minerals are fairly common in the typical Western diet. However, by eating the recommended foods in the eating plan I recommend later, and by taking a decent multivitamin/multimineral capsule daily, you should avoid any deficiencies. Why do you eat? Other than the obvious answer "To live", a more specific answer is in order to supply the body with the energy to FUEL life processes, including physical activity. Macronutrients are converted to energy for use by the body, and this energy is measured in terms of kilocalories, or kCal (commonly referred to just as "calories"). An average 200-lb male burns about 100 calories per hour, or 2400 calories daily, just being lazy and doing nothing. Body temperature maintenance, breathing, digestion, etc. need that much energy just to go on daily. The human body is very efficient at storing additional energy/food in the form of FAT. That way, when a day comes where you don't take in enough energy/food to meet your requirements, the body can "dip into" fat stores and get the energy it needs to continue. So for example, if our sedentary 200-lb male eats 2700cal worth of food, those extra 300 calories will get converted into fat. However, if he only happens to get 2100 calories the next day because he didn't feel like getting out of bed to go eat most of the day, then the body will be forced to burn 300 calories worth of stored bodyfat to meet its basic needs. This is fat gain and fat loss explained at a basic level; that's all there is to it! Despite popular belief, if this man ate 1600 calories worth of nothing but fried lard and table sugar all day he'd STILL lose weight, because the body has to get that missing 800 calories worth of energy from SOMEWHERE. Of course, eating this way would be dreadful to your health in the long run, so let's look into what types of nutrients to eat when for sound nutrition. Now that you're familiar with some basic nutritional facts, how do you apply them to your eating habits? Do you consume mostly carbohydrates with a bit of protein and fats? If you want to lose weight, do you eat mostly high-protein and high-fat foods? What if you want to build muscle, do you consume mass quantities of protein and avoid fat? It's understandable if you're confused. Every week you'll hear something different: How carbohydrates are evil, how this food or that food is bad for you, or that to be healthy you need to eat the latest (expensive) grass clippings from the ocean floor. I'm going to answer these questions in the context of FAT LOSS. Most people reading this could stand to lose ten or more pounds. Picture yourself wearing a 20-lb weight belt around your waist all day; would that make you feel more tired by the end of the day? You bet. Now, imagine shedding that "carry-on luggage" you haul around on your gut or thighs. Imagine what that would do for your energy levels! And remember, you want to be as lean as possible to play a better game. How many top Paintball players do you see competing with guts and saddlebags? Not many, as they realize that extra weight is a handicap in their activities. So strive to bring your bodyfat levels down, healthily, so that come game time you aren't slowed down by 20lbs or more of useless weight. The eating plan I'll outline will show you how. For those who wish to gain weight in the form of muscle tissue, I'll outline a similar plan later. And for those who wish to remain at the weight they're at, I have to ask WHY? Why stagnate? Before the season starts you'd be wise to either lose as much fat and/or gain as much lean body mass as possible, since either will benefit you come game time. So progress towards one or both of those goals, and for your own sake don't stand still! So now that the goal, losing bodyfat, has been decided, what type of eating plan do you choose? Before I answer that I have to say one thing: ALL DIETS WORK! Whether it's the cabbage soup diet, the Atkins diet, the Pritikin diet, or the 17-Day diet, all diets will cause substantial fat loss in the short term. The reason this is so is because diets necessarily involve caloric restriction. Anytime you decide "I'm going on a diet", watch what you eat, and eat smaller portions of it, your caloric intake will go down and your body will be forced to burn stored fat to make up for the "deficit". The problem is that most of those energy-restricted diets out there stop working after a few weeks or months. What happens is that your body starts worrying about all of the caloric deprivation, and thinking there's a famine coming, slows down the metabolism as a survival measure. So when a dieter gives up because of no results and starts eating a normal energy intake again, they gain fat back quite easily because their body's metabolism is much slower. Usually a dieter will continue this cycle for years, going on diets and gaining the weight back again, until the excuses start: "It's in my genes to be fat. I can't help it", "Being overweight is caused by a virus", and "I'm happy with my body as it is" [fat]. What's needed is not a new crash diet but a new eating lifestyle, something that's easy to comply with, that works with the body's survival mechanism instead of against it, and provides the nutrition necessary to support an active, healthy human being day-to-day. Most importantly, it has to be easy and healthy enough that you're able to stick with it for life. I'm convinced that eating lifestyle is the Nutrition-for-LIFE method advocated in the Body-for-LIFE program (you can visit the Body-for-LIFE website here to learn all about the entire program). I'll outline the program here, with a few alterations which I think make it a lot easier and even more reasonable, but still as effective. Basically, the program advocates that each meal should consist of a portion of carbohydrate food with a portion of protein food. How much is a portion? A portion is the size of the palm of your hand or the size of your clenched fist. That's all! There's no counting calories with little scales, or looking up a food in a huge almanach or calorie counter app. The logic behind this combination is that protein and carbohydrates eaten together keeps insulin levels in your bloodstream stable, and allows you to burn fat (it's hard for the body to burn fat when insulin levels are elevated). As long as the foods chosen are on the "authorized list" (see below), then the portion control measure used (fist or palm) will keep the caloric value of the meal low and you'll be in "caloric deficit", using a little bodyfat for fuel all day long. (High-protein and fat diets like the Atkins diet also control insulin levels, but because there's so little carbohydrates in them I wouldn't recommend it for athletes or fitness-minded individuals. On that type of diet you wouldn't be able to strength train longer than 10-15 minutes before becoming exhausted. Remember, you need carbohydrate in the form of glycogen in order to fuel high-intensity exercise like resistance training). With the even combination of carbohydrates and protein you get a good balance of nutrients: Carbohydrates to fuel activity, protein to repair and grow lean muscle tissue, and enough fat to stay healthy and provide it to the bodily processes that need it (fat usually accompanies your protein choices, as in milk or meat). Now comes the part that may frighten a lot of people: On this plan you eat FIVE of these meals a day, spaced about 3-4 hours apart! Why is this? By eating these relatively small meals at regular intervals you constantly keep small amounts of food in the stomach. Your body doesn't go into alarm mode and slow your metabolism. In fact there's even evidence to suggest that eating frequently actually speeds up your metabolic rate, causing you to burn calories faster. Another reason eating frequent, small meals is important is because with food constantly in your stomach you won't feel that familiar "hunger pit", and cravings will be almost nonexistent. Last but not least, by eating this way you're keeping a steady flow of nutrients entering your bloodstream, to be picked up by hungry muscle cells (stimulated by your workouts). If you think of it the concept is not that foreign; at this point you're probably having three meals a day with a couple of snacks in between, for a total of five feedings. Now you see how easy it is to put the meals together. And it leaves a lot of flexibility with regards to food choices, which is good, since any eating plan that doesn't offer you choice is going to fail eventually. Keep in mind that the combinations shown above are just basic, bland examples; the Body-For-LIFE website contains many recipes in their nutrition section for tasty dishes that fit the plan. The one element of the Nutrition-for-LIFE plan that really throws a curveball at traditional dieting however, is this: Once a week, you can take a full day to eat whatever you want! This is what's known as the "Free" day, and it's a day where "unauthorized" foods can be eaten at will, whatever, whenever. Pizza, french fries, ice cream, nothing is off-limits! The reasoning behind this is twofold: First, it's an enormous psychological "boost" to know that you won't be following a strict eating plan forever. Knowing that Saturday or Sunday you'll be eating your favorite food can be a great incentive to avoid cheating and hitting a McDonald's during the week. Second, this "Free" day is another tool to keep your body guessing; in case it's on the verge of slowing your metabolism, suddenly eating a lot of food will show it that there's no famine approaching. You won't lose any fat on the "Free" day, but the odds are that you won't gain any either unless you really overdo it. Scheduling your "Free" day on a day where you have a family dinner, date, or some other social event means that you won't have to deprive yourself while everyone around you enjoys food. At this point you can see the beauty of the whole plan: You can have healthy, tasty food choices, while not needing to count calories or deprive yourself. And the energy and nutrients supplied by the authorized foods in their recommended portions will supply you with what you need to get through your workout, build muscle, and burn fat tissue. This plan could hardly be called a "diet". Some of you may be carrying only a small amount of bodyfat and aren't concerned with losing it. Others may be wanting to add some lean muscle mass to their bodies to improve their appearance. If that's the case, I suggest that you tailor your diet to lean muscle mass gain. People on the fat loss version of the Nutrition-for-LIFE plan described above will be able to add some muscle to their bodies while losing fat (especially if they're beginners), however it's always easier to add muscle to your body if the calories you take in slightly exceed your energy needs. To accomplish this increased calorie intake, add a second carbohydrate portion to your first four meals of the day (for a total of two portions of carbohydrate and one portion of protein). If after a month of an intense resistance training program you're not significantly more muscular, add another carbohydrate portion to your first meal of the day and see what happens. While on either a fat loss or muscle gain diet, it's important to take in lots of fluids. While in fat-loss mode, the by-products of fat-burning are removed from the body through urination. While building muscle, water is required for its constitution (72% of muscle is composed of water). 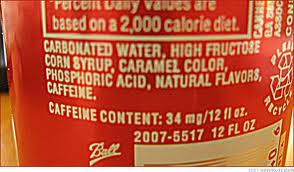 Water has no calories and will not interfere with either process. How do you know if you're taking in enough water? This may not make appropriate dinner party conversation, but the answer is to monitor the color of your urine! The more yellow it is, the more dehydrated you generally are. It should be almost clear as much as possible. A good rule of thumb is to drink a 12-ounce (360mL) glass of water at every meal to start, then go from there and adjust your intake as needed. If for some reason you don't like the taste of water, add a little lemon or lime juice to it or find a substitute like Lemon Perrier or unflavored mineral water. (There’s a lot of controversy about Aspartame/Nutrasweet’s effect on the brain, so don’t go overboard with diet soft drinks or calorie-free drink powders). Whatever you do, don't consume non-diet soft drinks; they're little more than sugar and water and will wreak havoc on your system. 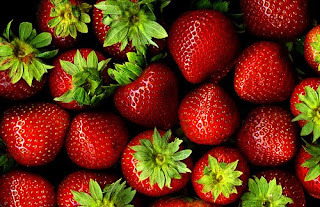 Fruit juice should be avoided too, in favor of whole fruits which contain fiber (juice doesn't) and are more filling. Before I recommend you add sports nutrition supplements to your nutrition plan, be forewarned that 90% of the nutritional supplements on the market are GARBAGE! They're not cost-effective for the results they give, they're based on boffo, biased research (if there's any research at all), and they'll leave you with no results and a thinner wallet. Many of them are sold by fly-by-night companies; once the word gets out that their products are ineffective, they close up shop and open under a different name to start the process all over again. However, after all those harsh words, I believe there are A FEW sports nutrition supplements that are cost-effective and will help you greatly in your training. Keep in mind though that there's no such thing as a "magic pill" (unless the anabolic steroid route is taken, which I'm not going to dignify with a discussion here). Thousands of chemical reactions take place in your body day-to-day, and if certain micronutrients are unavailable for these reactions, you may be "short-circuiting" the fat loss or muscle growth processes. The case for deficiencies of micronutrients in our food supply can be made easily: The feed given to animals is low in nutrients, designed only to get them to grow and be slaughtered. The health or longevity of the animal is not a consideration. Likewise, the soil in most farmer's fields across North America has been fertilized with compounds designed to grow the crop as quickly as possible and harvest it for maximum yield; little consideration is given to replenishing the nutrients in the soil. So although there are some vitamins in the foods we eat, they may be lacking in a lot of ways. For these reasons I recommend supplementing every morning with a quality multivitamin/mineral pill. What do I mean by "quality"? Find a company with a reputation to live up to, that's been around for a while, and go with it. Centrum Protegra or Performance lines (both available at your local drugstore) are both decent. If you want top-of-the-line and are willing to spend a little extra money to get it, go for Greens+ Multi. However, don't "megadose" on vitamins; stuffing yourself with vitamins will not improve health or performance and could even be harmful. A few years ago I wouldn't have recommended a protein supplement to anyone. The powders that were on the market were just too expensive compared to regular protein foods available at the supermarket, were loaded with nasty artificial sweeteners, and were very chalky in consistency. However, the demand for protein supplements has gone up, allowing the price to be brought down. Now a serving of quality whey protein can be had for less than the cost of an equivalent serving of "supermarket food", and is much tastier due to intense competition between companies. With the Nutrition-for-LIFE method, eating protein at every meal with the foods you find at the supermarket can get pretty expensive. To bring the cost down I suggest making 1-3 of your daily protein selections a protein supplement. 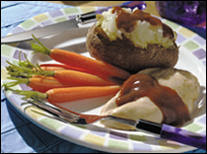 Gram-for-protein-gram it's much more cost-effective than chicken breast, steak, cottage cheese, tuna, or even egg whites. Now I'm not saying that you should ditch regular foods and replace them with protein supplements, since this could have implications for your health (like missing out on some vitamins and nutrients). Just use it in moderation. You can find 5lb jugs of quality protein powder at Popeye's Supplements or SND Canada at an excellent price. Try to find a product without artificial sweeteners like Aspartame and Sucralose - I personally use and recommend the natural version of Optimum Nutrition's whey product. Creatine, when used as directed, can help increase bursts of power, and help you recover faster from those bursts. It's a nutritional supplement that's proven itself for years as a safe performance enhancer, and it can help improve your game. Your body is constantly renewing, regenerating, and rebuilding itself. In a year most of the cells that now make up your body will have been replaced. It's up to you what the building materials will be. Will you have a body built with healthy, whole foods, or processed junk food and soft drinks? Proper nutrition goes beyond just getting better at playing Paintball - it also means living a more vibrant, healthy life, inside a more vibrant, healthy body! In this article, I'm also going to discuss general life habits that can affect your health, and by extension your ability to play Paintball. SLEEP: How much sleep one needs depends on the individual, but there are some general guidelines. If you're under 25, try to get at least 8 hours of sleep every 24 hours, preferably in one shot (puberty and growth continues until about age 25). If you're over 25, try for 7 hours as a minimum. Although sometimes it's inevitable, try to avoid taking caffeine and energy drinks as substitutes for proper sleep. SMOKING: The simple act of quitting will improve your cardiovascular health far more than MONTHS of aerobic exercise ever would while maintaining the habit. Quitting cold turkey is of course incredibly hard, so I'm not recommending you quit cold turkey; instead, promise yourself that for the next hour you'll avoid cigarettes like the plague. Then when that hour is up, make the promise again, and so on! The reason that most people fail when they try to quit is because when they declare, "I'll never smoke a cigarette again from this point on", it's such a monumental task. Their willpower crumbles in the face of a challenge that big. By breaking that challenge up into smaller, bearable challenges, the task becomes so much easier. Don't try to go it alone, either; enlist help from your mate, your family, your friends, and most importantly your doctor. There are several effective treatments for the physical side of nicotine addiction, and you'd be foolish not to take advantage of them. DRINKING: Alcohol is something that should also be avoided. Alcohol is technically a POISON, but because of its pleasant effects on mental state people aren't aware of this fact, or simply ignore it. I'm not against having a beer with your burger, or a glass of wine while you're out having dinner with your girlfriend, but binge drinking to "get wasted" is absolutely TERRIBLE for your health. STRESS MANAGEMENT: One of the most important elements of good health is a positive attitude in life, and proper stress management. Avoid needless worrying and don't let little things anger you. Chronic, low-level stress over a period of years can lead to health problems too numerous to mention later on in life. Try to keep things in perspective! By all of the above I don't mean that you can't enjoy a good cigar on New Year's Eve, a glass of wine with dinner, an occasional late night of syndicated TV, or an occasional outburst of well-deserved anger. Just don't make these behaviours common, everyday habits in your lifestyle. By living a healthy lifestyle in general not only will you enjoy life more, you'll get better results from your physical training - and thereby become a better Paintball player. This article marks the end of Grey Ops 6-part series on Paintball Fitness. If you've enjoyed this series, and want to see more articles like these on Grey Ops in the future, stop by the Grey Ops Forum and let your voice be heard!